ELECTION 2013: Who Would Be the Greener NYC Mayor? New Yorkers are heading to the polls today to elect the next mayor of their city. 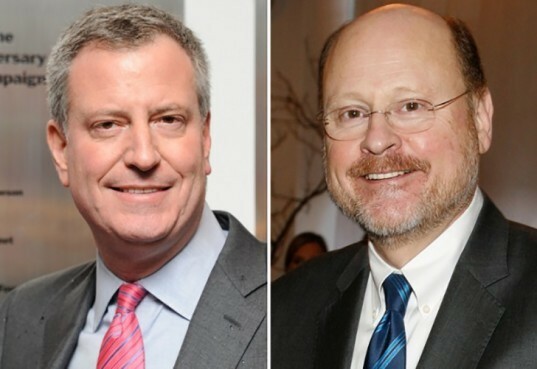 The two candidates, republican Joe Lhota and democrat Bill de Blasio, have some big shoes to fill when it comes to out-greening mayor Michael Bloomberg, but they’ve already started making some environmental promises during their campaigns. Think you know who the greener candidate is? Click here to cast your ballot. New Yorkers are heading to the polls today to elect the next mayor of their city. The two candidates, republican Joe Lhota and democrat Bill de Blasio, have some big shoes to fill when it comes to out-greening mayor Michael Bloomberg, but they've already started making some environmental promises during their campaigns. Think you know who the greener candidate is? Click here to cast your ballot.